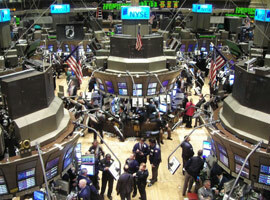 BOB ABERNETHY, host: As public outrage continues over Wall Street’s plans to pay multimillion-dollar bonuses to its top executives and traders, President Obama called such bonuses “obscene” and proposed a new tax on the country’s largest banks. Meanwhile, the heads of the four largest investment banks were the first witnesses before a bipartisan commission investigating the causes of last year’s financial crisis. A new book out this week called “Rediscovering Values” urges moral as well as economic reforms. Its author is Rev. Jim Wallis of Sojourners magazine. Jim, welcome. As you look back at the causes of the so-called Great Recession, what are the most important ones that you see? REV. 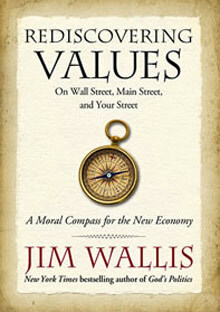 JIM WALLIS: Well, I’m talking about rediscovering values on Wall Street, Main Street, and our street. We can’t just look at Wall Street. We’ve got to start personally, and so we talk about families and choices and local churches and what we can do in our lives, our neighborhoods, our communities. ABERNETHY: I want to get into that, but first of all, the causes. Who’s to blame? WALLIS: Well, I think we all have to look in the mirror here. These new maxims — greed is good, it’s all about me, I want it now — we see that on Wall Street. We see these bonuses that are being announced this week are really, I think, a sin of biblical proportions, clueless about what’s happening in a place like my hometown of Detroit where there’s thirty percent unemployment. But also my Depression-era parents didn’t spend money they didn’t have for things they don’t need. So I’m seeing a whole reevaluation going on. Underneath this economic crisis there is a values crisis, and I’m hearing a conversation, already in this first week, around the country about how we need a moral recovery to go along with the economic recovery. ABERNETHY: And in that moral recovery, talk about some of the things that other people have talked about, as well as you, which is the huge gap between the richest and the poorest. ABERNETHY: So we consume less, we conserve more. WALLIS: And we find each other. Don’t keep up with the Joneses; make sure the Joneses are okay. That’s a very different kind of conversation. So I see a new kind of “let’s learn from this.” A crisis gives us a chance to reset some things, so I see that happening. I’m talking to community organizers, Wall Street people, pastors. We’re having dialogues around the country. This is the beginning of a new conversation. You know, this is a chance to learn from our mistakes and find a moral compass for a new economy. ABERNETHY: So you want individuals and families to be more responsible about their use of money, going into debt, that kind of thing. But it’s also going to take, if what you want is going to come about, it’s going to take massive change in government policy, right? WALLIS: You’re exactly right. Right. This is a structural crisis and a spiritual crisis. ABERNETHY: And so how is that going to come about? WALLIS: Well, we need new financial regulations, a real holding Wall Street accountable here. You know, [my wife] Joy and I just fired Bank of America, because they had all this money, and we gave them grace, you know, in the meltdown, and now they are extending no grace to people who are being foreclosed upon. There is more money in these bonuses, these bank bonuses, than would be needed to resolve the foreclosure crisis. So the banks say they’re too big to fail, I’m saying make them smaller, so a lot of people could move their money. There’s even a website, moveyourmoney.info. You move your money to community banks that are serving the community, I think that’s a practical thing that people can do. It empowers people. Congregations, denominations could move the Methodist $15 billion pension fund. That gets Wall Street’s attention. ABERNETHY: It is said that the high salaries that are paid on Wall Street, and to CEOs generally, and to a lot of performers and athletes, that these encourage people to work harder and that if you don’t pay them somebody is going to go someplace else. Are you really, are you proposing then a tax on everybody, not just Wall Street, but a big tax on people who are making above a certain amount of money? ABERNETHY: A bigger tax, I should say. WALLIS: At some point you cross a line, and they’ve crossed some lines here. I mean, to go from a ratio of CEO salaries to average workers of 30 to one, which is what it was thirty years ago, to now 615 to one, come on, I mean, we’ve crossed some lines here, and so we have to — Joseph Schumpeter, the Austrian economist, said when you’ve got no moral framework for the market, no ethical sensibility, the market devours other sectors and finally devours itself. Gandhi said the seven deadly sins are wealth without work — two of them — and commerce without morality. So we’ve crossed some lines here. How do we come back to some of our most basic, oldest virtues here? 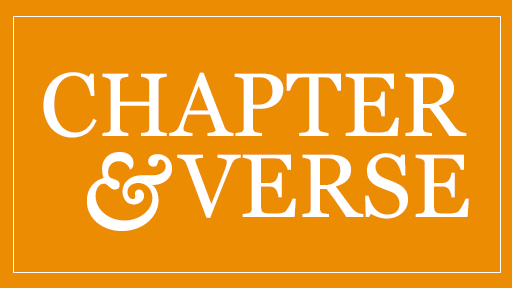 And I’m hearing conversations on Wall Street and right in my own hometown of Detroit that say, “We’ve lost our way here, let’s try and find it again.” And I think, yeah, some structural accountability, but also some spiritual transformation at the level of our family life and time with kids and all the rest. That’s what’s coming out of this. I think that could be redemptive. ABERNETHY: Jim Wallis of Sojourners magazine, many thanks. WALLIS: Great to see you again.